French actor and major babe Marion Cotillard is pretty amazing all round, but I particularly love this hair look that Robert Vetica, Moroccanoil Global Brand Ambassador created for her for the “Rust and Bone” premiere at the 56th BFI London Film Festival. Cotillard wore – naturally - all black Dior, along with a totally wearable and completely modern 60’s inspired hair look. The fact that the Gallic lovely looks so damn happy to be sporting such a low-maintenance style is an added bonus – she is clearly having the time of her life. Now what are you waiting for... go do it already! The idea of “spring cleaning” your body in the lead up to summer has always been a favourite of mine, be that overhauling your diet or exercise regime, cutting back on alcohol and sugar – or a combination of the whole lot! I’ve also long been a fan of juicing, and for year would have a one day juice fast a week to keep my bod feeling good. I’ve got out of the habit over the last few years though, and although I juice up the likes of carrot, ginger and orange every afternoon, it’s been a while since I experienced a proper fast. I was pretty excited then to be given the chance to try the three-day version of PHD, New Zealand’s only raw juice cleansing system. Pure Health Delivered (PHD) is an Auckland-based company started by two guys whose toll-taking professions – one a personal trainer, the other a Navy diver – saw them seeking a way to revitalise. The result is PHD Cleanse, a range of easy-to-follow juice cleanse systems that use freshly cold-pressed, raw and unpasteurised ingredients. The system is designed to help accelerate the body’s natural detoxification process – flooding it with essential enzymes, vitamins and minerals that eradicate and eliminate toxins. Sounds good to me! The fact that they found a way to deliver it to people’s doorsteps – in no-mess, no-fuss bottles –gets a big tick from me too, as ‘having no time’ is one of the main excuses people give for not giving juicing a go. It’s also available as a 3-Day and 5-Day cleanse system - available in ‘Basic’ and ‘Advanced’ levels – so you can find a way to fit it into your life no matter what. Green juice is widely considered the world’s healthiest juice – jam-packed with green leafy vegetables – and it was my absolute favourite of the bunch. I wish I could have a pack delivered every day as I’d hoover it up! I didn’t know about pre-cleanse protocol before starting my three-day journey and was happily tucking into Shepherd’s Pie and a hearty Pinot Noir when my supply of juices arrived! Apparently the transition is easier if you observe it, such as sticking to meals that are predominantly made up of leafy veges and loads of water in the 48 hours preceding your cleanse. I found the first two days to be an absolute breeze, and as I said – I couldn’t get enough of the Green Juice! – but felt weak by day three and had a few small snacks. This was most likely in part due to the fact that I was having daily radiation therapy post-breast cancer surgery, and my energy stores weren’t quite as good as they usually are. After the cleanse I felt amazing though, and committed once again to good, mindful eating and keeping tabs on any cravings. Result! It’s definitely something I’d be keen to repeat when I’m strong again as it was a really good experience just for the discipline alone. The fact that the juices were delicious was an added bonus! It you think a PHD Cleanse sounds like you then I highly recommend a visit to www.phdcleanse.co.nz. 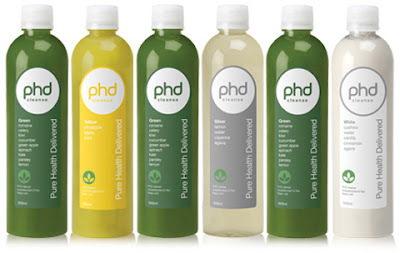 PHD Cleanse is currently available Auckland-wide by delivery, and will be available for delivery to other North Island main centres (Hamilton, Tauranga and Wellington) from December 2012. Full nationwide delivery is expected in 2013. When you’re as busy as the average woman, you just don’t find the time to truly indulge yourself on a regular basis – and that includes beauty treatments. We all know how good it would do our skin/hair/general wellbeing if we took twenty minutes out of our day every day to pop on a masque or a treatment product but really – who actually has the time for that kind of shebang, or the energy when it comes down to it? Thank the lord then for generous types like Kiehl’s, who create the type of treatments that can just be slapped on before bed – and promptly forgotten. 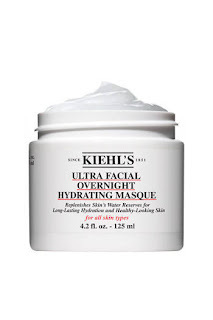 I’m talking about their all new Ultra Facial Overnight Hydrating Masque, which is formulated with drought-resistant Fountain Plant and replenishes skin’s water reserves for long-lasting hydration and healthy looking skin while you sleep. Applied before bed, it allows the skin it to retain moisture and function like a “hydration reservoir.” The formula, with pro-hydration glacial proteins and desert plant extracts, helps protect and reinforce the skin barrier – boosting hydration levels and leaving skin smoother and softer, refreshed and supple. At night before bed, apply a thin layer after cleansing with a mild, gentle cleanser. No toners, scrubs or other exfoliating products should be used prior to use, and due to the high concentration of hydrating actives, the masque should be used alone on clean skin, avoiding the eye area and not layered with any additional serums or moisturisers. Leave it on for 5-10 minutes then use a tissue or towel to remove excess but leave a very thin layer to continuously replenish skin’s moisture throughout the night. Do not rinse the skin. Follow your normal skincare regimen in the morning and check out your glow! Due to the potency of this product, they recommend using it no more than 1-2 times per week, and be sure to patch test first to check its compatibility with your skin. 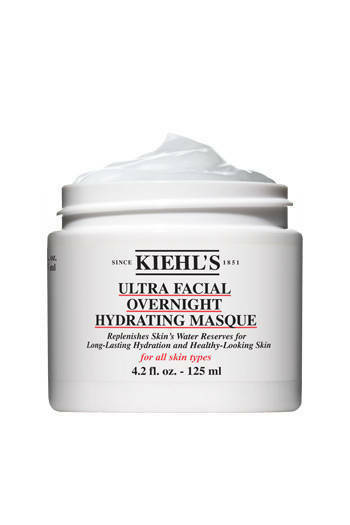 Kiehl’s Ultra Facial Overnight Hydrating Masque is available November 18 in New Zealand from Smith & Caughey’s Queen St, Newmarket, Ballantynes and Kirkcaldie & Stains. So reads the press kit for M.A.C’s line up of absolutely want-able holiday gifts, which as always, are amongst the most gorgeous on the block. To start, they have mini kits for eyes and lips, packaged in round, chevron-print boxes trimmed with a patent black bow; in shades and finishes too irresistible to resist. There is also a collection of style-packed, leopard-print Holiday Primped Out Lip and Eye Look Bags, and Perfectly Plush Brush Kits to fill the season with glamour. Looking fabulous in any location requires the glamour of a touch or two of M.A.C, a little organisation and a touch of leopard and lace, so grab your makeup and brushes and pop them into one of their M.A.C Hanging Travel Bags and you’re good to go! Or try the All for the Glamour Face Kit in Gorgeous Bronze (pictured), a limited edition face, eye, and lip palette with everything you need when you're en route to somewhere fabulous. Last but not least – and my pick of the bunch – is a Fabulousness compact, which makes a great gift for the M.A.C freak in your life too. 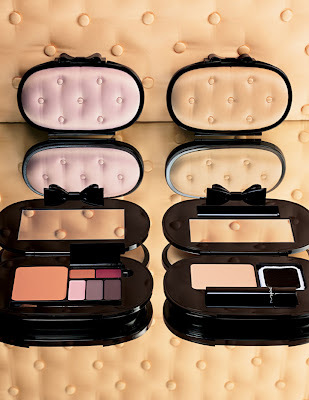 Chic, satin-tufted compacts with a demure black patent bow accent, they are eye shadow palettes featuring five shadows for Warm Eyes, Neutral Eyes or Smokey Eyes and are as retro-tastic as it gets. ’Tis most definitely the season to be chic. I first heard about the House of Harlow brand when native Californian – and serious A-Lister - Nicole Richie launched it back in 2009. 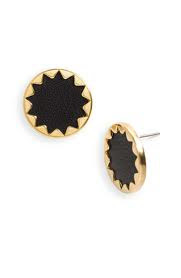 I picked up a pair of her earrings not long after at Sydney’s legendary Cosmopolitan Shoes store, and I’ve been a bit of a fan ever since. The bronzed beauty has always been known for her signature style, which has evolved from unabashed boho to hippy luxe and everything in between over the past few years. At the moment she’s working Super Mama into the mix as well, with two bubs, several businesses and looking immaculate at fashion weeks around the world taking up a whole lot of her time. 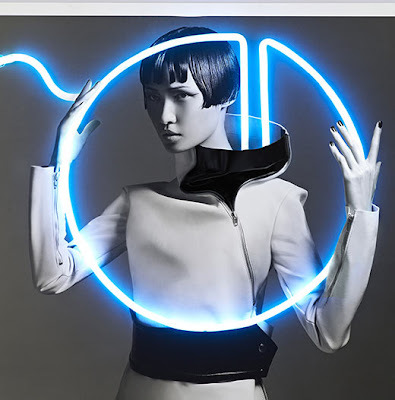 Nicole’s love and influence of costume dressing are apparent in the collections, whether incorporated in a print or manifested through a unique addition to a fabric or style, they are the essence of the House of Harlow 1960 identity. Nicole has been the creative force behind the brands since day one, immersing herself in every step of the brands’ creative and strategic decision-making process. Nicole’s most popular collection features Aztec inspired necklaces, earrings, rings, bangles and sunglasses. 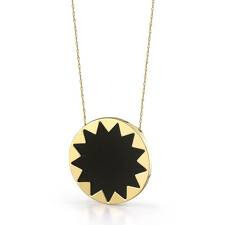 The ‘sunburst set’ (pictured here) incorporates rich leather in black or khaki framed by a bold sunburst cutout and looks pretty gorgeous on, and online at www.houseofharlow.co.nz. But wait – there’s more! I have a set of these beauties to give away to a reader, so email me helene@mshelene.com with your name and courier address before Friday 5:00pm and you’re in the draw. It’s THAT time of the year when the layers start falling off, so if you’re not working with some kind of tanning product now then I suggest you get to it – stat! And, if you’re as rubbish as I am at applying most self-tanners then it’s high time you made a gradual tanner your friend – the best of the bunch are pretty much foolproof, and great for your skin to boot. I was rather excited last week to attend the launch of Australian beauty brand ModelCo’s latest releases, one of which was – yay! – a gradual tanner. They are a brand known for high performance, no-nonsense, innovative products, and the new bunch is no different. ModelCo’s Gradual Tan (told you they were no-nonsense) is an everyday triple action self-tanning moisturiser for all skin types that acts as a self-tanner, tan extender and moisturiser all in one, allowing you to build or prolong a natural-looking, streak free tan gradually and easily. Infused with the super nourishing and anti-oxidant properties of Green Tea Extract, the luxurious formula helps to improve and even out skin tone, prevent the visible signs of aging and protect the skin all while delivering a gradual golden glow. It’s also scented with what they call “delicious summer fruits”, so there are no tell tale signs of tanning, just a fresh, yummy scent. You can use it with ModelCo’s new Super Tan, Tan Airbrush in a Can, Tan Mousse, Self Tanning Glove or any self tanner to intensify or extend the life of your tan, or simply use it as I am right now - on its own for a natural looking sun-kissed glow all year round. 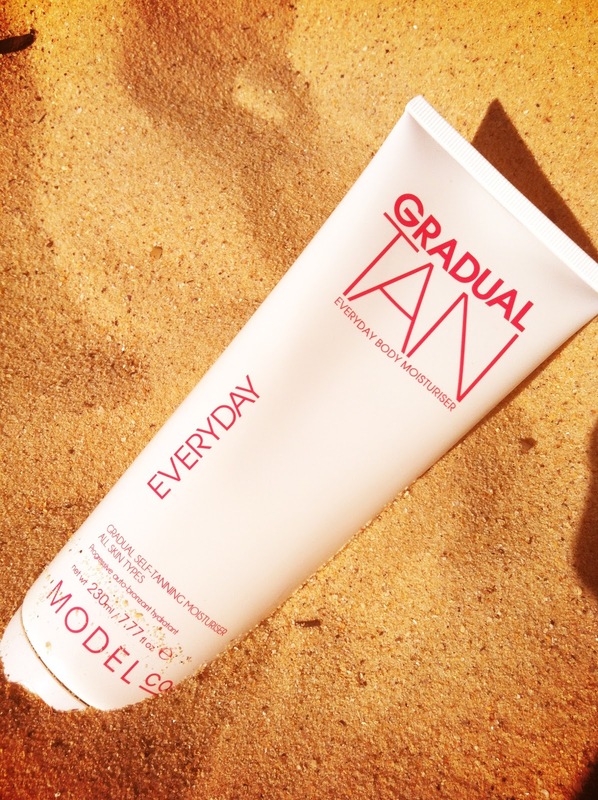 ModelCo’s tip for use is to apply Gradual Tan every day for 3-6 days until you reach your desired depth of golden glow, then use every second day to keep your tan topped up and looking its best. No streaks, no faux glow smell and no mess – this product is a right little wonder! 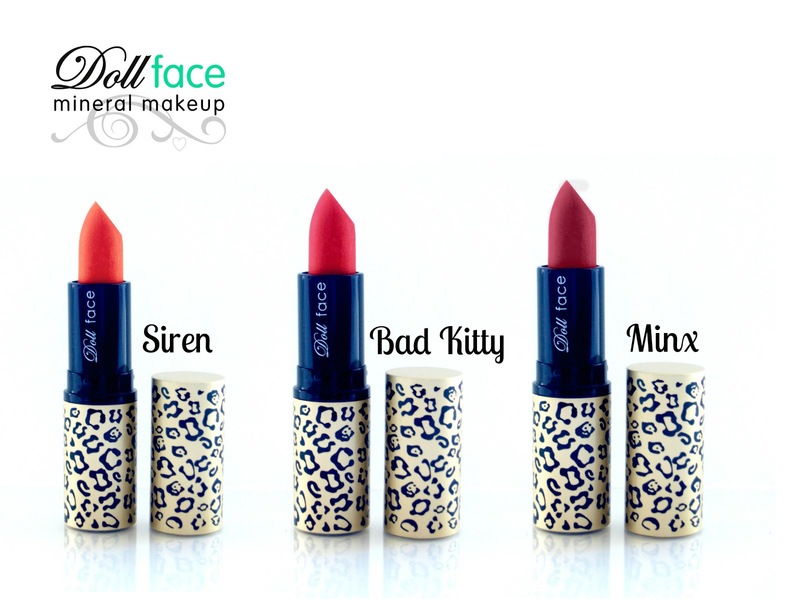 A while ago I was contacted by the lovely Debbie from Doll face Mineral Makeup, which is a brand I never knew existed that is created right here in New Zealand. It is all personally formulated and manufactured by Debbie way down in the Hutt Valley, and the collection includes everything from foundations and blush to mascara, eye liner, great quality brushes and more. What really stood out for me though were the lipsticks, which now also come in to die for leopard print tubes as per above! The collection also includes some absolutely killer reds, including Siren (a bright orange-based red), Bad Kitty (a true, neutral red) and Minx, a deep, blue-based red. My favourite has to be Minx due to its great shade and beyond decent wearability, and it is most definitely a regular fixture in my makeup bag from here on in. Also, don't you hate it when you find that perfect colour only to find the company has deleted it the next time you need it? If Doll face does delete a colour, they say they will more than likely keep the “recipe” so just ask, and we will custom make one just for you! Debbie also says that if you suffer from sensitive skin Doll face should be fine for you to use, but if not, they offer you 100 per cent money back. I strongly suggest you check out this gorgeous boutique brand and support a local business in the process – and get in quick because word has it that Doll face is going places! Check out where you can get it here. I’m always on the lookout for a great waxing specialist to recommend to people, and it’s definitely one of the treatments I get asked most about. Having a person you trust implicitly – especially when the knickers come off! – is essential, so when I meet a good one I’m always keen to spread the word. Last week I went into the Grey Lynn location of Bare Waxing and Skin Care to see the lovely Bridie, and can definitely highly recommend. Summer is approaching fast and that means bikini season is almost here, so the sooner you can get into the routine of regular waxing the better. Bridie was one of the fastest wxing specialists I’ve ever tried as well as one of the most thorough – it was all no-nonsense and the end result was fantastic. And I was out of there before I even realized it – bonus! Plan to wax after your period. Your pain threshold is higher in the week after your period than beforehand. Generally you are more sensitive to pain just before and during your period. Pain Relief. Take two Panadol or Neurofen about 30-45 minutes before your wax – this can help reduce any localised pain and also acts as an anti-inflammatory. Schedule your appointment between 3pm and 5pm. Research show this is when our pain threshold is at its highest. Exfoliate 24-48 hours beforehand. This will help remove dead skin and lift the shorter hairs allowing for the wax to more easily grip the hair. Breathe. Taking a deep breath as the wax goes on, and a short exhale as it comes off really does help. Be regular. Regular monthly waxes (especially down there!) mean hair is more easily removed and the waxing experience is a whole lot quicker. Wax Quality. Make sure your therapist is using a hot wax for your bikini area – this is the wax that grips only to your hair rather than your skin. Not only is it a lot less painful, but you will get a better result and decrease any likelihood of skin lifting. To find out more about Bare Waxing – or to book in with the wonderful Bridie - visit www.barewaxing.co.nz. They also offer eyebrow threading, spray tanning, Dermalogica skin treatments and products, make-up application, manicures, pedicures so you may even be able to kill a few birds with one stone/appointment! A couple of years ago when I first started this blog, one of the first beauty discoveries I wrote about was Indah skin and bodycare. Founded in Bali, Indah was created by Teisha Lowry (above), a Melbourne model and aromatherapist who was passionate about producing a 100 per cent natural and luxurious, but affordable range of skincare. She told me that Indah - meaning beautiful in Balinese - was "made with love", and a lot of thought went into every aspect of its creation. Fast forward to 2012 and Teisha has produced a collection of absolutely beautiful products that work to nourish, invigorate and rehydrate your skin in the most natural way possible. Each product is free from chemical processing, preservatives and artificial fragrances and are handmade using herbs, spices, fruits and flowers picked on sustainable fair trade farms in Bali. Using the ancient traditions of Aromatherapy and Ayurvedic healing, each product has been meticulously designed to feed and balance the skin, and just reading the product description of each offering makes you want to try then, and NOW! It has been how many years now since INDAH began? I founded INDAH after I read the book Eat, Pray, Love and went to find the medicine man in Bali in hope he’d give me the answers to healing my broken heart. I never found the medicine man but I accidently found a Balinese woman who taught me so much more about pure essential oils. I went off and studied business and returned to Bali and started my passion – INDAH, making pure products. After 5 years and a lot of study, INDAH has gone through some massive changes, but the biggest thus far is we’ve brought production to Australia and we’re obtaining our organic certification with the ACO. Do you still split your time between Melbourne and Bali? Not as much as I used to. I only need to go about twice per year to meet with our coconut oil facility, but things may change soon as I have a lot of plans in Indonesia and Asia. What is your top beauty spot in both locations? When I’m in Bali I like to visit my Ayurvedic doctor in Ubud, she gives me full Indian body massages and facials enriched with warm oils and medicinal herbs – all fresh from her garden. When I’m back home I like to treat myself, as I know exactly what my skin and body needs, only using pure ingredients. What is your absolute favourite Indah product? Virgin Coconut Oil, it’s my No.1 beauty secret. I have been using this miracle oil for years, it has worked wonders for my skin and it keeps my insides healthy too. It’s organic, affordable, smells delish, you can eat it and cook with it. It’s the base of all of my products, I use it so it carries the ingredients into the bloodstream where it can detoxify and help replenish and renew cells. How do you develop new ones, with help from friends or experts, or all on your own? I’m an Aromatherapist, I specialize in clinical nutrition and herbology; which I use to advance my knowledge in aroma and formulating and the effect it has on my mind and body. All of my formulas I design myself, they are based on my studies and research I have amassed over the years. I like to experiment a lot with raw materials and ingredients that are hardly used in conventional products. I find this is the point of difference between other organic beauty brands and INDAH. What is the next release in the works? There are a lot of collaborations coming up, I am working with new fashion designers and curating their signature scent. A few amazing NEW products that are very specialised and unique to the INDAH range…it’s all about working with and discovering pure ingredients and making them smell amazing – naturally of course! 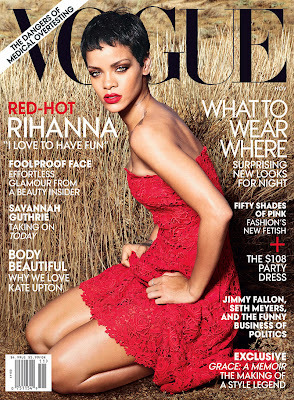 How do you live healthily and consciously whilst working as a model and travelling a lot, is it hard? I can’t eat plane food! If I do the person next to me is in trouble. When I get to my location I always Google or ask the locals for the closest health food stores, organic grocers and restaurants. No matter how tired I am I’ll make a trip and stock up on food and plan my meals for the day. Living this lifestyle you have to be organised, I’m blessed to have a great partner who is always cooking and preparing our meals. I always have soaked nuts, fruit, raw veges on standby when I’m on the road. It’s important for me not to skip a meal, if I do I’m super irritable. I will try and get a workout in everyday, if I can’t I do a lot of stretching, yoga and pilates. Do you have a tip for keeping well and feeling good when you’re on planes or long shoots? I have one of everything from my range in my bag, because all the aromas suit different occasions and have different effects. Because I travel a lot and cannot stand flying, so my Lalu Travel Balm is always with me. I drink a lot of purified water and keep my coconut oil on standby to help give me energy; when I’m feeling low I just eat a tablespoon for an instant energy boost. It’s essential to keep hydrated on shoots and when travelling. I always carry a snack pack too, like soaked activated nuts, a boiled egg or I chew on some crispy bacon! Everybody is beautiful in their own unique way, I am certainly lucky that I have a partner who tells me everyday that I am beautiful. I have a great group of friends and family that like to remind me that I am, I think people need to say it more and more to the ones they love. I was once in a toxic relationship and he use to tell me I was fat and I would never look like a model and I believed him and it affected me in a huge way - physically and emotionally, but I think you need to surround yourself with positive people that see the beauty inside of you and are a positive reinforcement. I couldn’t have made INDAH the amazing success it has been without all the amazing people in my life. I’ve always found most lady-centric shave foams/gels/crèmes to be a little below par when it comes to performance, or the ones that are half decent are overpriced and disappear within a few short weeks. Needless to say I often go for the men’s variety, but even then I’m not that happy as the fragrance is often pretty damn overpowering. Hurrah then for the arrival of Primal Earth’s Natural Active Sensitive shave crème, which has been designed for “his” and “hers” use and is a damn fine formula to boot! All about taking care of his face and her legs, it lubricates, cleans and protects sensitive skin for a close soothing shave and contains no harsh chemicals. Mango and vanilla leave legs soft and sumptuous and faces smooth and supple, and it has been enriched with skin-conditioning Aloe Vera, Calendula, Harakeke and Plant Glucosides for an incredibly smooth shave. All of the plant extracts are wild-harvested in New Zealand and it is totally soap free – a bonus for sensitive, eczema-prone types like me. This little marvel is a new ‘must have’ in both my bathroom cabinet and my travel bag, and you need so little to get a decent lather that I just know it will go a long way. Great stuff! I recently popped into the delightful Blink at 77 The Strand in Auckland’s Parnell where the equally delightful Michaela applied a set of eyelash extensions to my lashes – my second foray into having them done. The first was a bit of a disaster to be honest, it was my wedding and I had them put on at another salon where the ‘natural’ look was definitely not the order of the day. Cue synthetic, Dolly Parton-esque lashes that I ripped out the day after our nuptials – not ideal! Jess and her team of qualified lash technicians at Blink however, know great lashes. They’ve heard horror stories like mine of badly applied, painful lash extensions that resulted in damaged lashes and damaged reputations, but they are going about restoring faith in lash extensions, and doing a damn good job of it. They only use top quality, individual silk and synthetic blend lashes that come in different lengths, curls and thicknesses. They don’t feel harsh and stiff at all – like my first set – and look pretty gorgeous. Lash extensions, when applied by qualified technicians last for a full two - four weeks before an infill is required to replace any lashes that have naturally fallen out. Individual lashes are applied to your own lashes - not your eyelid - so they’re very comfortable, look amazing and won’t rub or smudge during a good workout! To book a full set of lashes contact the team at Blink 08004BLINK or visit here, or maybe even pop in and say hi at 77 The Strand in Parnell. However, for one lucky reader I’ve got a full set of lash extensions valued at $150 to giveaway! So why pull out a rave about this beauty yet again? 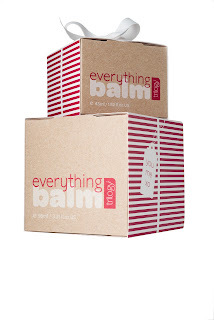 Well it’s been all dressed up for Christmas and looks a right treat in classic candy stripes – perfect for gifting! If you love your friends and family you will pick them up a pot of this little marvel ASAP – in fact, why wait for Christmas at all! When I was pregnant I was one of those lucky women whose skin just glowed - I felt like utter rubbish, but that’s a whole other story! So many women spend months suffering the side effects of surging hormones and a growing body, such as acne, rashes and pigmentation changes. Pregnant – and indeed glowing! - TV3 reporter Kate Rodger has been ones of the lucky ones, but to ensure that her skincare regime was still appropriate and not harming the baby she visited Caroline Parker, New Zealand Dermalogica Head of Education, for a Dermalogica Face Mapping and treatment. Caroline explained to Kate that while almost all Dermalogica products are safe to use during pregnancy, there are a few specific active ingredients that come into question when the user is pregnant – and that goes for many skincare brands. “The use of essential oils is often cautioned during pregnancy, so we advised Kate to avoid the Stress Relief Treatment Oil that she likes to add to her Dermalogica Body Hydrating Cream,” said Caroline. As TV3’s entertainment reporter Kate is required to wear heavy make-up daily, work under harsh lighting and travel overseas regularly. These occupational factors have meant Kate’s skin hasn’t had an easy time for the last few years, but now she’s on top of things with a regular routine – skin hates change – and treatments when she can. 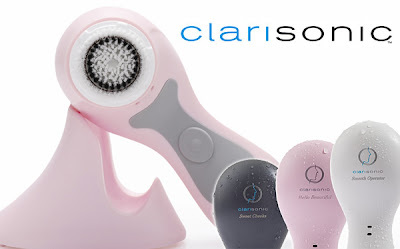 I’ve been obsessing about getting a Clarisonic Mia for some time now, but haven’t actually had the opportunity to give one a whirl – or the spare dosh to snap one up during trips overseas. It was great news therefore to hear that they had arrived in the retail boutique at East day Spa, and even better to hear that they are offering customised facials using them! I went into the spa yesterday afternoon to experience one of the latter, and by god it was good. A Clarisonic Facial treatment using Elemis products, it promised to leave my skin feeling like velvet and it did just that. 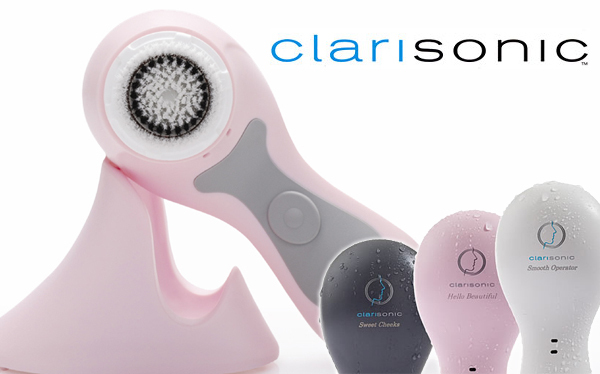 I mentioned to my therapist Anita that my skin was feeling quite dry and dehydrated due to the radiation therapy treatments I’ve been having daily, so she paired the Clarisonic Mia cleanse with an Elemis Exotic Moisture Dew Facial, which is perfect for skin in need of a super saturating moisture boost. After I was well tucked in and my feet wrapped in a hot towel, the dreaminess officially began with a deep cleanse and nourishing facial massage. Heavenly scented Rehydrating Rose petal Cleanser was used with the Clarisonic for a good, hearty cleanse, then Ginseng Toner prepped my skin for a massage using Elemis Rose Recovery Capsules, feeding it with moisture-rich agents that aim to bring back that healthy, dewy look to the skin. Ingredients like rose and mimosa give the added benefits of anti-ageing properties, and my skin just sucked it up. Next up Anita used the Gentle Rose Exfoliator – a gentle gel exfoliator with absolute of Moroccan Rose and soothing cucumber – to prep my skin for the incredible smelling Exotic Moisturising Mask, which is full of absolutes of mimosa and honey and can be left on overnight. After that was removed the brand’s Maximum Moisture Day cream was applied and I was sent dreamily on my way. -cleanses so effectively it helps skin to better absorb skin care products, giving serums and moisturisers maximum effectiveness. It’s suitable for even the most sensitive skin types, and the whole scenario truly did leave me with skin like velvet – even the day after! To book in for one of these little slices of heaven – and I highly recommend that you do – head to the East Day Spa website here. It may have appeared that most of the world was talking about that hula hoop-style bag after the recent Chanel S/S 13 Ready to Wear show, but for me, it was all about the eyes! He started with luminous, shiny skin using Vitalumière foundation and avoiding powder (except for on the T-zone). He then created a metallic 'shine' on the eyes using a full cover layer of Illusion d'Ombre eye shadow. “For this show I exclusively created a platinum shade which you can apply sheer, for a subtle luminous effect, or for a metallic result you can put a thick layer,” he added, and you just know this look is going to be copied and coveted for months to come. The third element of shine was on the lips, and involved a clever combination of Chanel's Lèvres Scintillantes in Plaisir and Rouge Allure in Gracile for a pretty shade of shell pink. And what about the nails, the Chanel makeup element people go nuts for every season? It was the most discreet, sweet and shiny French manicure, using Le Vernis in Ballerina. If anyone can bring a basic, super sophisticated French back it’s Philips, and I for one am backing him all the way! The Nails” Le Vernis "Eastern Light" - "Hong Kong Collection CHANEL, Le Vernis "Ballerina" (N°167), Beaute des Ongles "Laque Brillance Extrême". 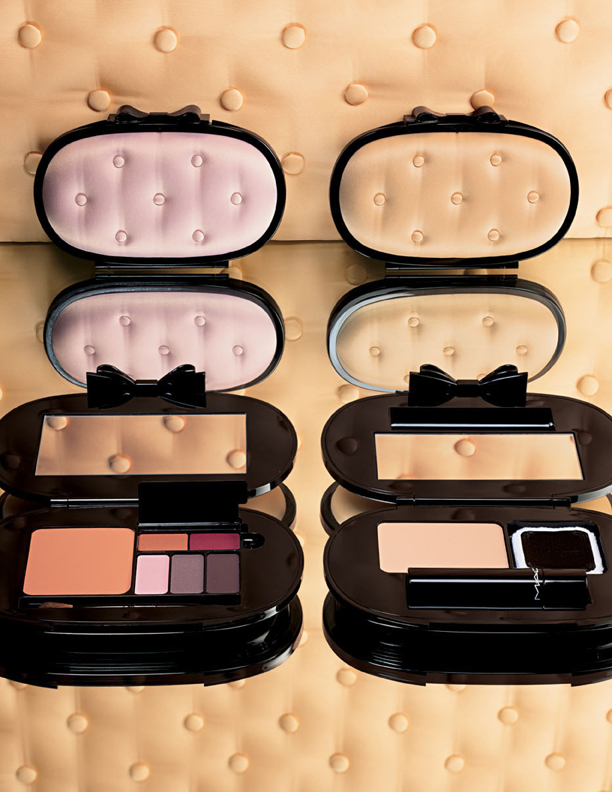 Arriving November is Bobbi Brown’s rather gorgeous – and as always, infinitely wearable - Caviar & Oyster collection. Bobbi’s inspiration for the season reportedly started with a black motorcycle jacket and a piece of delicate pink satin – think a little bit uptown and a little bit downtown, all deliciously rolled into one. 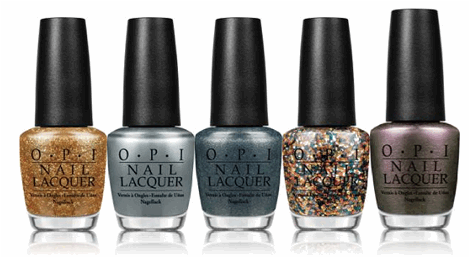 Seeing the two items together prompted her to create the Caviar & Oyster Palette (above), which is the real jewel in the crown of this pretty-but-edgy offering. Offering eight shadows and a sheer highlighter, the beautifully edited palette combines different textures and finishes to create a multitude of party and special occasion looks and is small enough to tuck into a handbag – genius! The selection of shades is the mix of shimmer, matte and drama to create just about any look from day to night. The shades aren’t heavily pigmented, but what may seem like a lack of heavy colour simply translates to the ability to layer textures, colours and intensities without the shades getting muddied in the mix. They are also truly translucent when used sparingly - with no ashiness or chalkiness in the mix. Try creating a stark, sculpted, retro eye with White Eye Shadow on the lid, Grey Sky in the crease and a cat eye with Rich Caviar wet as liner, finally layering on several coats of Bobbi’s new, limited edition Duel-Ended Mascara for megawatt glamour. Bellissima! This Bobbi Brown Caviar & Oyster Palette is definitely a must-have for holidays home and away, and the go-to tool to help you wake up looking fresh or take to the streets dripping rock n’ roll sass. Love it! With a splash of rosy pink and a fragrance to die for, New Zealand-based Antipodes’ newest moisturiser landed on my desk and I instantly fell in love with it. Antipodes call it a “marriage of moisture-lush avocado oils and hibiscus flower, sweetened by the vivid aroma of the blackcurrant berry,” and it’s designed to be used all over the hands and body for a luxuriously sweet treat. 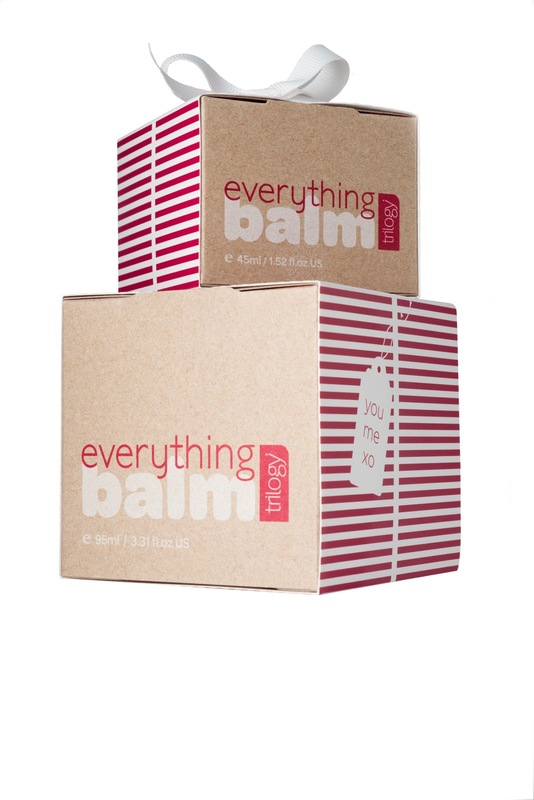 Joyful is rich in nutrients that nourish and refresh stressed and dry skin. As a base, oil is extracted from the kernels of organic avocado pears, grown as nature intended in the north of New Zealand. Avocado oil is a potent source of Omegas 3 and 9, as well as the vitamins A, B1, B2 and D. Chlorophyll and Vitamin E act as antioxidants, helping to reduce the appearance of scars and age spots, and mitigate the signs of ageing. A hint of the – hopefully! – long, hot summer days to come is provided through the addition of blackcurrant berry oil, grown and harvested in the sunny Marlborough region of New Zealand. Blackcurrants are packed full of Vitamins C and E, and contain the essential fatty acid gamma-linoleic acid (GLA). Blackcurrant berry oil also has a high oxygen radical absorbance capacity, which purifies skin by absorbing and neutralising free radical damage. Skin is brightened and toned by the inclusion of hibiscus flower extract, which acts as an exfoliator for dead cells, freshening and plumping skin, and locking in moisture. And although it’s creamy and rich to apply, Joyful has zero oily residues so you can dress pretty much immediately after application and stay hydrated all day long. Joyful is also suitable for daily use with every skin type, and particularly recommended for those who suffer from dry or roughened skin. Grab a glossy pink tube of this delightful treat ASAP!